FBI Director Christopher Wray testifies before a House Judiciary Committee hearing on Capitol Hill in Washington, Thursday, June 28, 2018, on Justice Department and FBI actions around the 2016 presidential election. 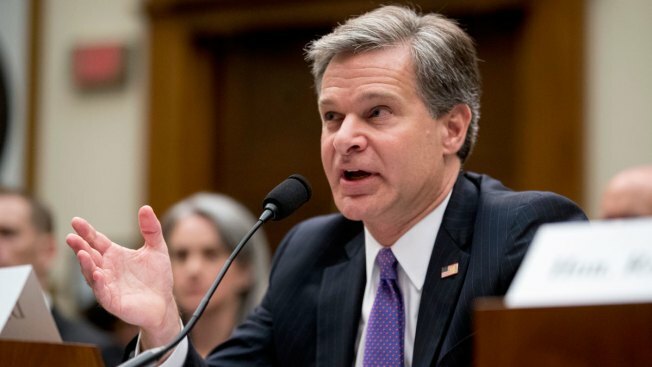 FBI Director Chris Wray suggested on Wednesday that he has previously threatened to resign — and pushed back against President Donald Trump's recent comments that cast doubt on Russian interference in the election. "My view has not changed, which is that Russia attempted to interfere with the last election and that it continues to engage in maligned influence operations to this day," Wray told NBC Nightly News anchor Lester Holt at the Aspen Security Forum.